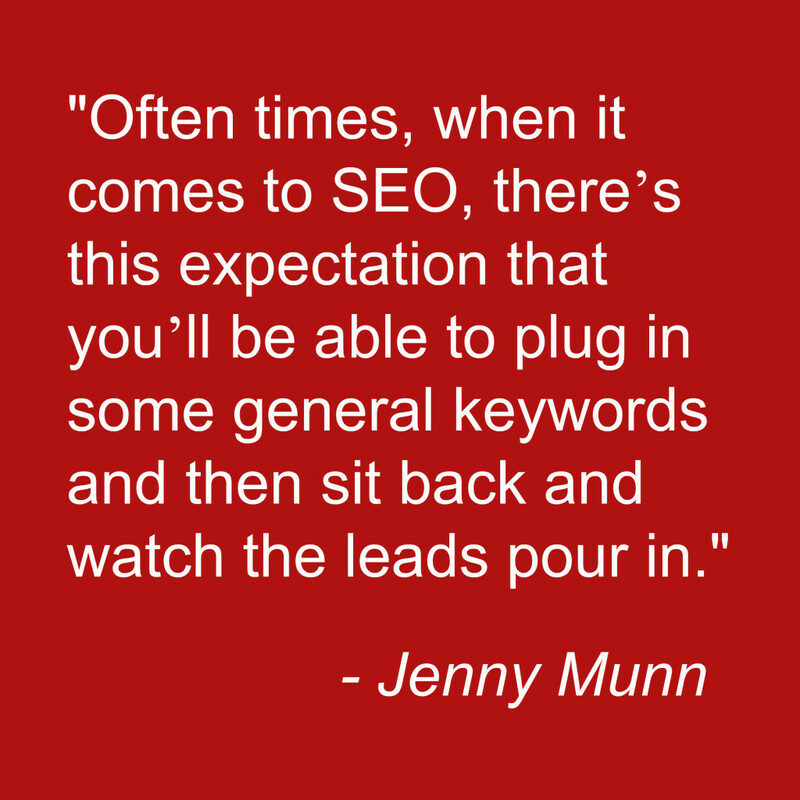 Further insight on lead creation through quality SEO from our partner, Jenny Munn. SEO isn’t a magic solution that’s going to fix everything and bring traffic in; it’s something you must do in addition to all of your other marketing efforts. 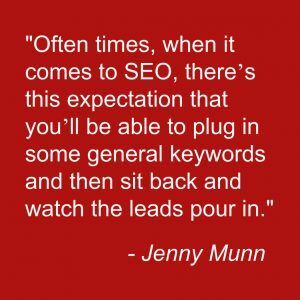 Getting people to your website through SEO is great, but there has to be more to your plan. 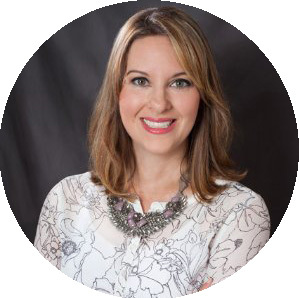 You need to be sure that you are attracting the right kind of people to your site, and then have a plan in place to convert them to leads once they arrive. Execute – I’m all about execution! All the keyword research in the world won’t do you one bit of good if you never execute. Keep in mind though, that trying to SEO an entire site all at once can leave you frustrated and burned out. Start simple – take one keyword around some kind of buying intent, around the products or services or solutions or information you offer, and optimize one page or blog post. Put the keyword in the title tag, put it in the heading, use it once or twice in your copy and call it a day. Don’t overthink things or you’ll find yourself caught up in the dreaded (but all too common) paralysis by analysis. The key to getting more and better leads through SEO is really quite simple – just get started. Be salesy – Often times people are so afraid of being too salesy on their website that they actually don’t get salesy enough. Don’t let your keyword research and optimization efforts go to waste by not telling visitors exactly what to do once they arrive on your site. Your site copy should be very direct about what you do, who you work with, and why people should hire you today. Inviting people to take that next step with you isn’t being too salesy, in fact it’s absolutely essential if you want to generate more leads using your site.